At Karl Senner continuing education plays a key role to reach top efficiency – this applies both to the Karl Senner Service Team as well as its customer base. The in-house training facility houses dedicated rooms for both theoretical and practical training. The curriculum covers everything from to routine maintenance, to understanding of specific components, as well as comprehensive understanding of the complete driveline; both mechanical and electrical. All Karl Senner Technicians and Customer Service Representatives (CSRs) participate in regularly scheduled training. 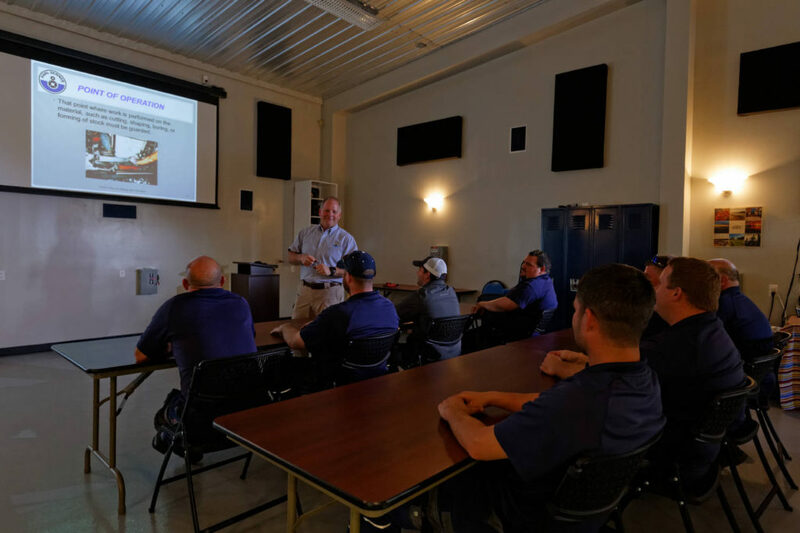 The dedicated training facilities and personnel ensure the curriculum remains current and covers everything from process changes from the manufacturer, to the latest technical experiences the company’s own Service Technicians and CSRs. Sharing techniques and troubleshooting success stories allows the Karl Senner Service Team to learn from one another and grow. This program allows for technicians to have a steeper learning curve and become true experts in the field much faster. All Karl Senner, LLC Technicians come onboard with the goal of mastering a comprehensive understanding of the complete driveline (not only KS supplied equipment), capable of handling all mechanical and electrical needs. A single source technician possessing these competencies has proven to be a tremendous asset for the operator of equipment. 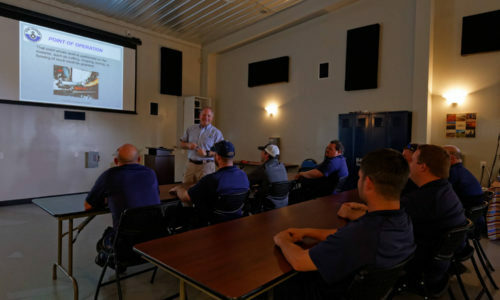 Karl Senner, LLC also offers customized training courses to its customers, and values the opportunity to review general maintenance, operations, and troubleshooting with the customer. A well-trained operator results in better communication, and often less downtime both for routine maintenance and unforeseen service. The faster both parties can identify the source of service issue, the faster a plan-of-action can be put in place, and the issue can be resolved smoothly and less costly to the customer. Customer training has become played an integral role in extending our partnership with our customers, and generating better communication; that is what customers can expect when they become partners with Karl Senner, LLC. Please contact us to schedule your next training course.